Pen Hadow is one of the world’s leading polar explorers; in 2003 he made history and became the first, and so far only, person to trek solo without resupply from Canada to the North Pole. It was an astonishing achievement that included traversing huge boulder fields of broken ice and swimming open water in the arctic ocean, completely alone, whilst hauling a sledge weighing up to 125kg. Just months later he became the first Briton to make unsupported journeys to both the North and South poles. Pen’s experiences in the polar regions haven’t just been limited to adventurous journeys; he developed a keen focus on scientific return and was the driving force behind the vision for the 2009-11 Catlin Arctic Surveys. 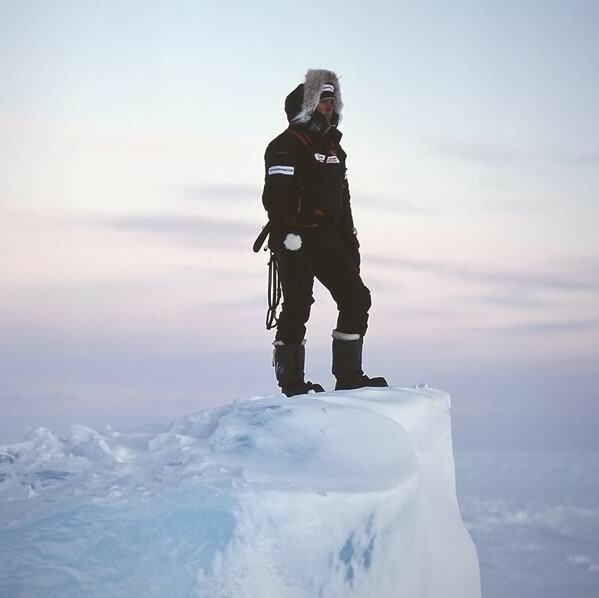 Pen’s efforts surveying sea ice thickness, alongside Ann Daniels and Martin Hartley, led to them being named TIME magazine “Heroes of the Environment”. Join us to hear Pen’s extraordinary journey as a polar explorer first hand. From his record breaking expeditions to stories of fending off a polar bear with a saucepan – it promises to be a fantastic evening. The lecture starts at 7.30PM with venue doors opening at 7PM. You can expect Pen’s talk to last for around one hour with the chance for some audience questions at the end. Join our mailing list below. Don’t worry - you can unsubscribe at any time and we’ll never allow anyone else to send messages to your address.